You worked hard to get your professional commercial drivers license (CDL). It took study, practical experience, and time to get a commercial license. It is also a livelihood. You earn your living with it. And unlike a regular drivers license, when you lose your commercial license, you lose your job. Penalties for commercial vehicle license violations are severe. You not only face fines, but a suspended license means that you cannot work. Get the legal representation you need, now. Call traffic ticket attorney in McAlester immediately for a free consultation to learn how to keep your driving career on the road. It doesn’t take much to lose your ability to drive commercially. Even some minor traffic infractions carry the possibility of a suspension. While you may know that your actions are safe, because your vehicle is large and heavy, your actions might appear to be unsafe to a law enforcement officer who may err on the side of caution in giving you a CDL ticket. Additionally, things such as following too closely, making an unsafe lane change, or using your cell phone are enough to get a ticket. Two CDL tickets within three years for these minor offenses can mean a suspension of up to two months. A third CDL traffic ticket can mean four months out of work. And in Oklahoma, there are no work exceptions that allow you to keep driving. If your CDL license is suspended, you will not be able to drive. Contact an attorney in McAlester Okla. immediately to protect your driving privileges and your livelihood. Other CDL violations can result in immediate disqualification of your license. One mistake at a railroad crossing can take you off the road for up to 60 days, while a second railroad crossing violation within three years can result in a suspension of up to a year. If the infraction is more severe, say a Blood Alcohol Level (BAC) of .04 percent or more, your CDL will be suspended for a year for the first infraction. A second infraction will take you off the road permanently. Any felony drug violation can also lead to permanent Oklahoma CDL revocation. You have 15 days from the date of the arrest to request an administrative hearing on the suspension of your CDL. 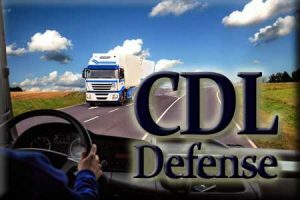 So if you are arrested or given a traffic ticket for a CDL, consult your McAlester CDL defense attorney as soon as possible. You know about driving. When you get a commercial driving ticket, you need someone who knows about the law to help navigate. 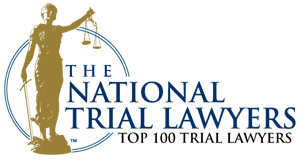 For a free consultation with a McAlester CDL ticket attorney, call 918- 302-9656. Don’t make the mistake of taking the first ticket in stride. It might be tempting to just pay the fine and get on with it, but the rules for CDLs are different and this is your livelihood. You cannot afford to ignore it. For example, a conviction for failure to have a CDL license in your possession after one other prior “serious traffic offense” will pull you off the road for as many as 60 days. Keep your driving record as clean as possible. Remember, points on your license(s), whether at work or in your own car, all add up and can lead to a suspension. Contact an Oklahoma CDL ticket attorney as soon as possible to find out what you can do to keep your record clean and your livelihood intact. The McAlester CDL ticket lawyers at Wirth Law Office-McAlester know how to fight CDL tickets. Your attorney will know what your best options are and how to best help you keep your CDL when your driving career is in jeopardy. For a free consultation with a McAlester CDL ticket attorney, call Wirth Law Office-McAlester at 918-302-9656 or send an inquiry using the e-mail form on this page for a prompt response.